I will make some assumptions. You have never owned a Panerai before. You will buy the watch brand new from an authorized dealer. And you are a loyal reader of WatchPaper… of course! You are attracted to the Panerai brand for all the obvious reasons. The Panerai craze has definitely cooled down in recent years, but the brand continues to have a fanatic and devoted fan base. The Paneristi are alive and well. Watch forums these days are focused on Rolex and Omega, but Panerai has something unique. The distinctive, beautiful and bold look of Panerai watches, combined with a cool and unusual history, results in an irresistible package. Let’s not get into the whole Panerai history here. You can read about that in other WatchPaper articles. But we need to acknowledge the importance of Panerai lore in your obsession with owning your own PAM. The essence of Panerai is robust simplicity. The very early Panerai watches were diving tool watches using Rolex pocket watch movements. These were functional pieces, made to be legible and tough. These things were made to be used in harsh environments. This is the character at the heart of the Panerai appeal. Consider this as you contemplate your first Panerai. Keeping it simple does not have to mean keeping it cheap or unimpressive. Perhaps the most iconic piece in the current PAM lineup is the Luminor 1950 3 Days Acciaio 47mm PAM00372. A Luminor 1950 has a larger, cushion shaped case as opposed to a Luminor. Acciaio means steel. The 372 is a massive 47mm and has an absolutely classic “base” dial. The 372 just oozes Panerai DNA. It has the prized sandwich dial, where the numerals are cut out of a top layer, exposing the luminous lower layer. The 372 also has the “dirty” dial where the numerals are a faux patina as opposed to a green color. And the 372 is powered by the in-house, manually wound P.3000 calibre with 3 days of power reserve. The P.3000 has been around for quite a few years but is a true piece of high-end watchmaking. You really can’t find anything that screams PANERAI louder than a 372. But it is quite an expensive watch that will set you back well over $10,000. 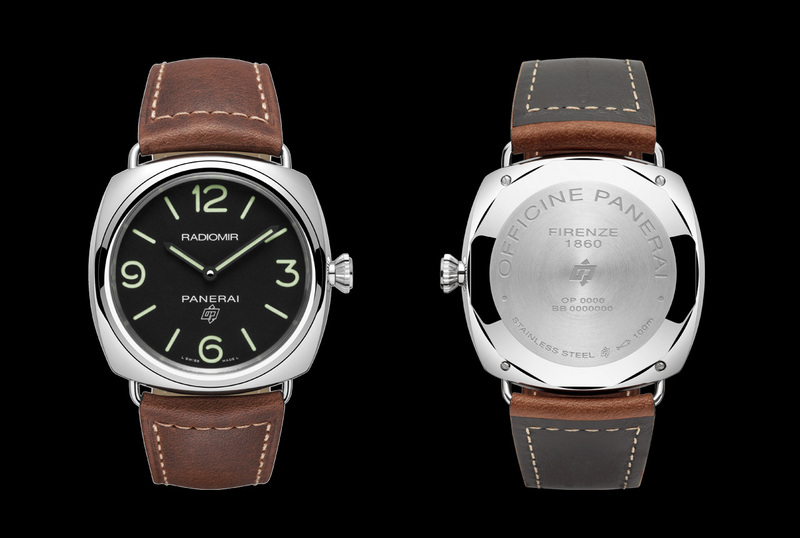 Do you really need to spend that much to get your first taste of Panerai? No. In fact, you do not. One of my favourite watch introductions of 2018 was the Luminor Base Logo, followed by the Radiomir Logo. These new entry-level Panerai retail for about $5,000 and are powered by a new in-house calibre P.6000, which is replacing ETA movements in Panerai’s entry-level watches. The PAM00753 is a base dial Radiomir, meaning no seconds hand. The PAM00754 Radiomir Black Seal has a small second at 9 o’clock. The Luminor Base Logo has three references- 773, 774 and PAM00775, which has a much less desirable white dial and markers at each minute. Critics of the new entry-level PAM complain of their “lesser” features. These include painted (as opposed to sandwich dials), snap-on case-backs and some unimpressive performance statistics of the P.6000. I, on the other hand, view the new models as beautiful and evidently, Panerai watches at an accessible price AND boasting a bonafide in-house movement. 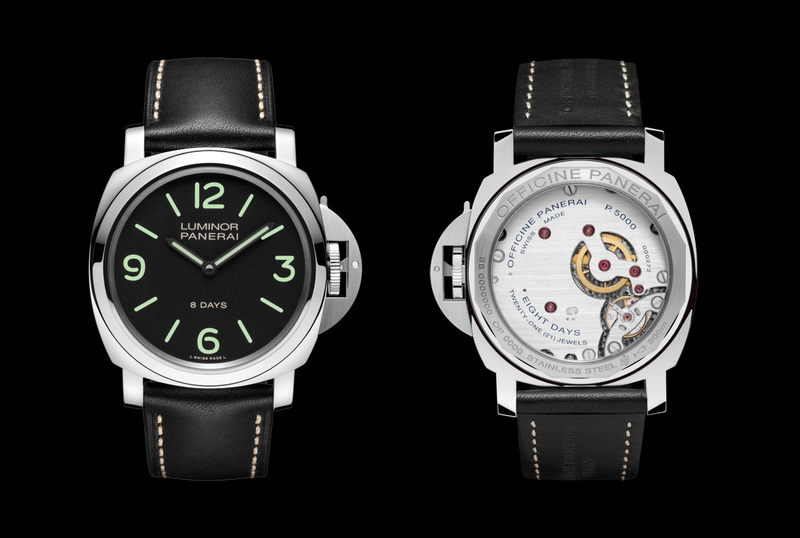 I really think that a Luminor Base Logo or Radiomir Logo is an excellent entry to Panerai. I had a boutique edition PAM with a painted dial – it was gorgeous. No issues. In fact, the higher end 8-days models such as the PAM00560 have dropped the sandwich dials as well. Even so, I would highly recommend a 560 as your first Panerai. It is much more expensive than a 773 or 774, but it is powered by calibre P.5000. This twin-barrel engine is manually wound and offers a whopping 8 days of power reserve. The P.5000 can be seen through the exhibition case back of the 560, although it is not very interesting to look at. The PAM00560 is pure Panerai essence- the “base” dial shows only hours and minutes, while the manually wound movement provides an authentic “Panerai” feel with massive power reserve. The 560, if you can afford it, is all the Panerai a man could ever need. 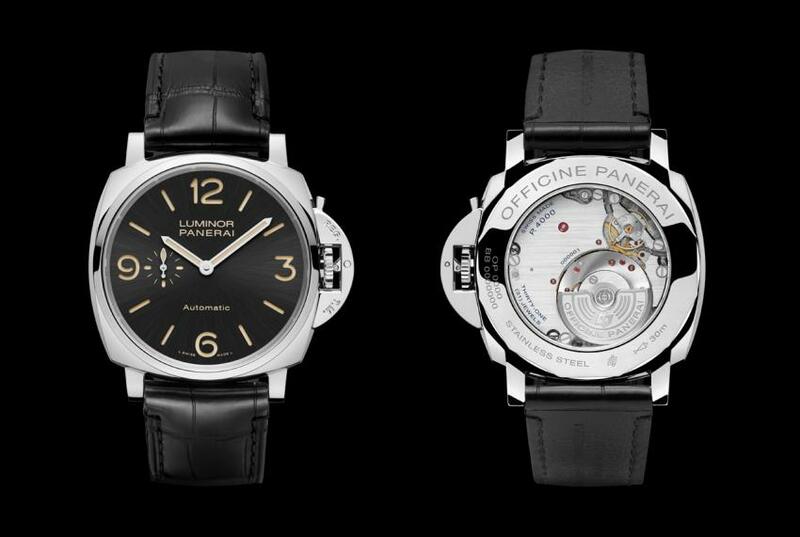 Panerai now offers all sorts of different sizes and variations. One of my favourite such models is the Luminor Due automatic 45mm PAM00674. This stunning beauty is powered by calibre P.4000, whose micro-rotor helps it keep a low profile. The 674 is a gorgeous and elegant timepiece. But is it what you want for your first PAM? The Panerai heritage is that of huge diving watches. Should your very first PAM be a slender and modern watch with a micro-rotor? While some Panerai models have disappeared (i.e. the 111 and 112), new reference numbers have appeared that start with a 01. These models have re-designed cases that are slimmer than the previous models. In some cases, they feature updated, slimmer movements. The PAM01000, for example, is the same watch as the old PAM00000 except that it has a new, slimmer case. The new PAM01359 is the same as the old PAM00359, albeit with a slimmer case and a thinner calibre P.9010 versus the older P.9000. For sure, there are a lot of cool things in the new Panerai catalogue. I really love some of this new stuff. But some of it strays too far from the basic, rugged origins of the brand for me to recommend as your FIRST Panerai. If you are reading this because you are really seeking your FIRST PAM, then let me focus your attention. In order of price, here are my recommendations. PAM0774 Luminor Base Logo 3 Days Acciaio or PAM00753 Radiomir Base 3 Days Acciaio are my first picks. The Radiomir is actually the more classic of the two and pays tribute to the earliest PAM. The 774 offers the more popular crown guard and has a cool, fresh, sporty look. 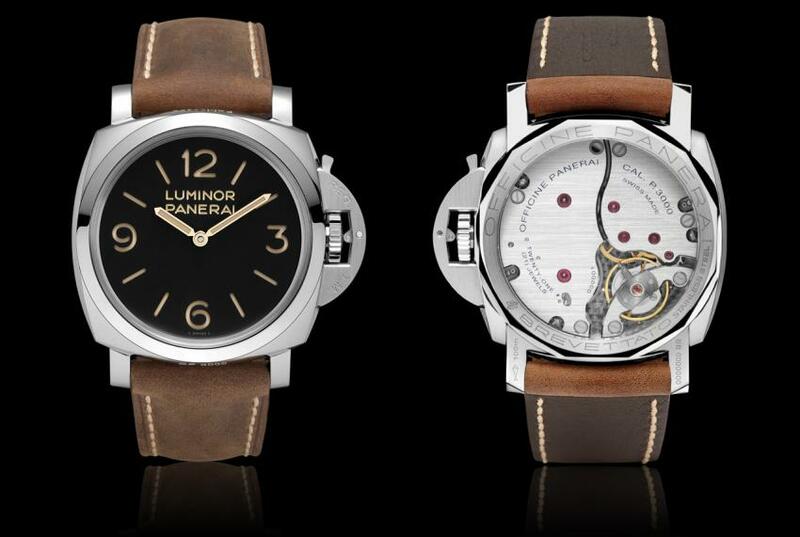 Both of these PAM offer the raw, basic, rugged appeal of the Panerai brand with a cool in-house movement. PAM00560 steps it up a notch with the same gorgeous base dial, and with a full 8 days of power reserve! This is a serious timepiece and one of my favourite watches ever. PAM00372 is the beast- big and basic and oozing Panerai DNA. If you have the budget, this PAM takes the experience to the next level. 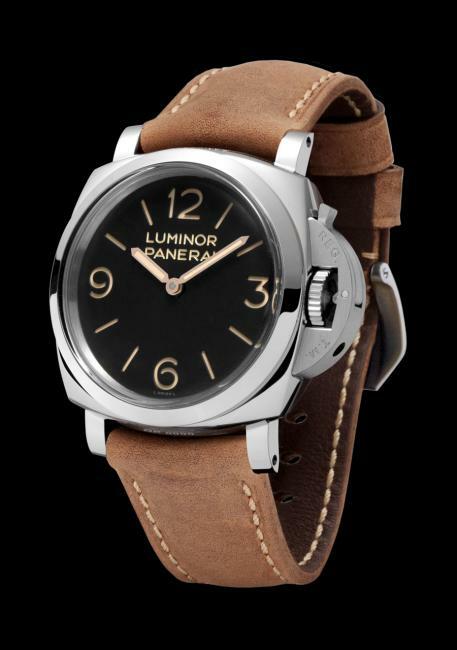 With the bigger size, nothing is so damned obviously Panerai as a 372. PAM00422 is still my very favourite Panerai. Like the 372, it is the larger 47mm size and adds a cleverly positioned power reserve indicator on the BACK of the watch. This is genius. The “Marina” dial has a small second, but this monster is still basic (in a sophisticated way) and undeniably Panerai. The 422 is the tops, for me.